Billy and his friend Tommy often take long rides through the woods and over the hills on their ponies, Blaze and Dusty. One day they decide to explore some of the country they have never seen. They agree to take every right turn they come to and see what they will find. After a day of discoveries, they are lost—but Blaze knows the way home! 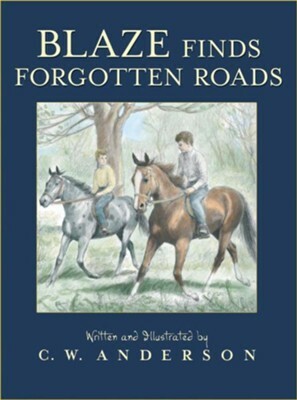 Blaze Finds Forgotten Roads is part of the classic Billy and Blaze series. Sensitive drawings and easy-to-read words capture the warmth and understanding between a boy and his horse. I'm the author/artist and I want to review Blaze Finds Forgotten Roads - eBook.